The Caucasus Range is located between the Black Sea and the Caspian Sea. Saint Petersburg is the second largest city in Russia. Yekaterinburg is the fourth largest city in Russia. Mount Narodnaya is the highest mountain in the Ural Range. Large city located south of Lake Baikal. 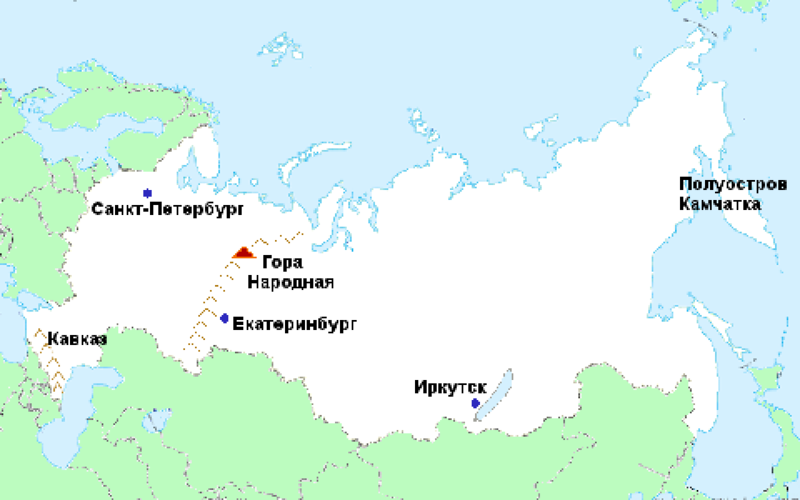 Large peninsula located in northeast Russia. Давайте поговорим о географии России. Гора Народная является самой высокой вершиной в Уральском хребта.